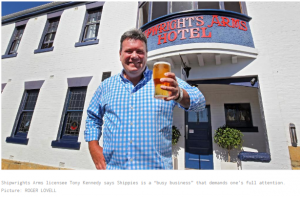 IT’S a rare real estate find but Battery Point’s iconic Shipwright Arms Hotel is on the market, lock, stock and barrel. The long-term lease and the freehold of the 1846-built pub, known in yachting circles as Shippies, are on the market separately. There’s more to selling a house than finding an agent and tidying up for open for inspections. After making the decision to sell, but before contacting an agent, Bunn recommends vendors “de-clutter, tidy up the garden and get the property as close to “open home ready” as possible.